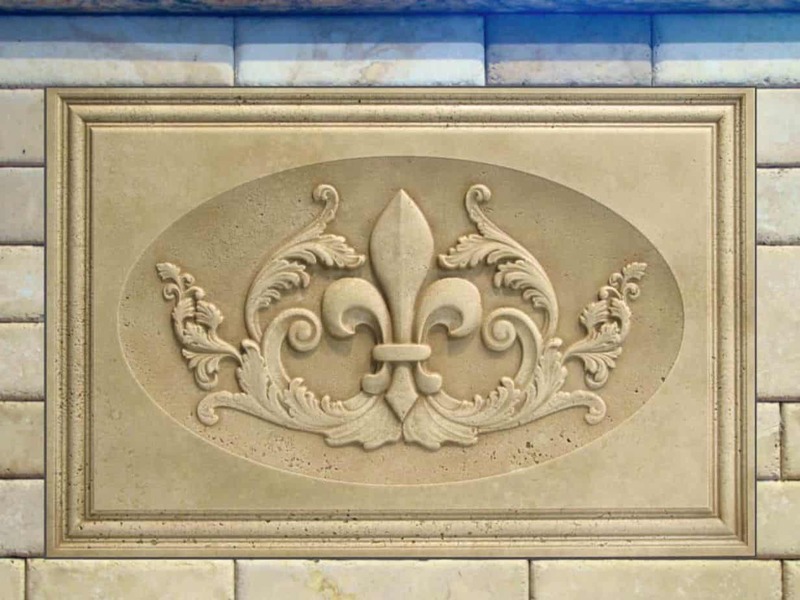 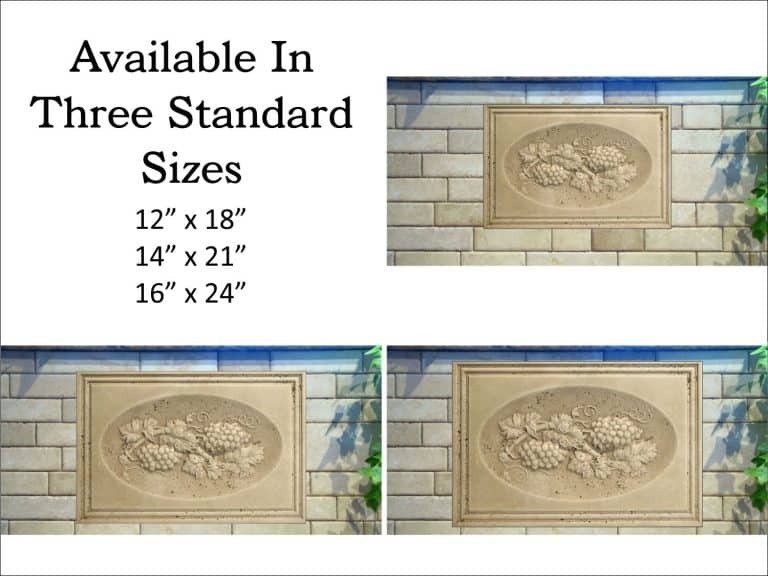 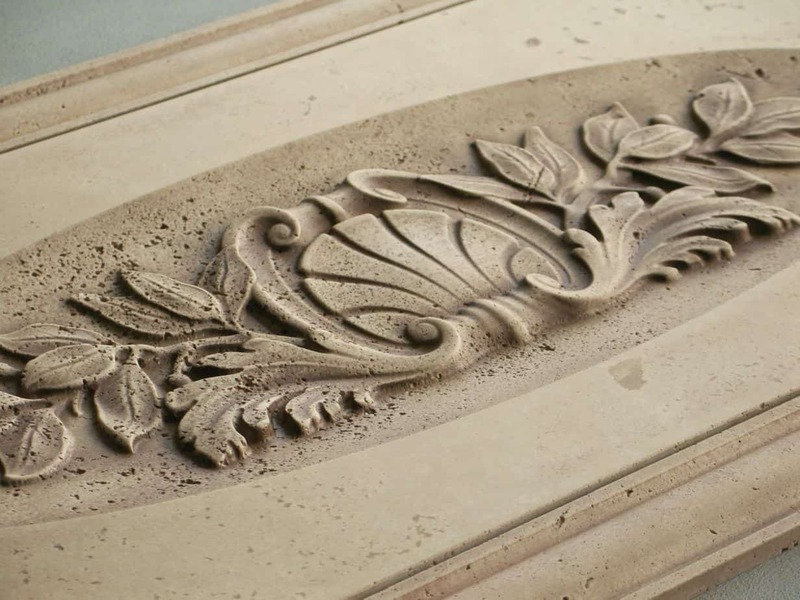 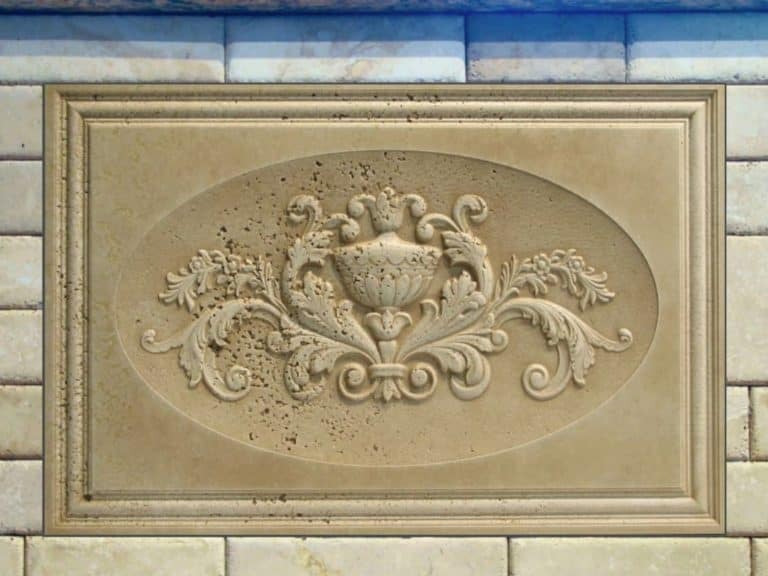 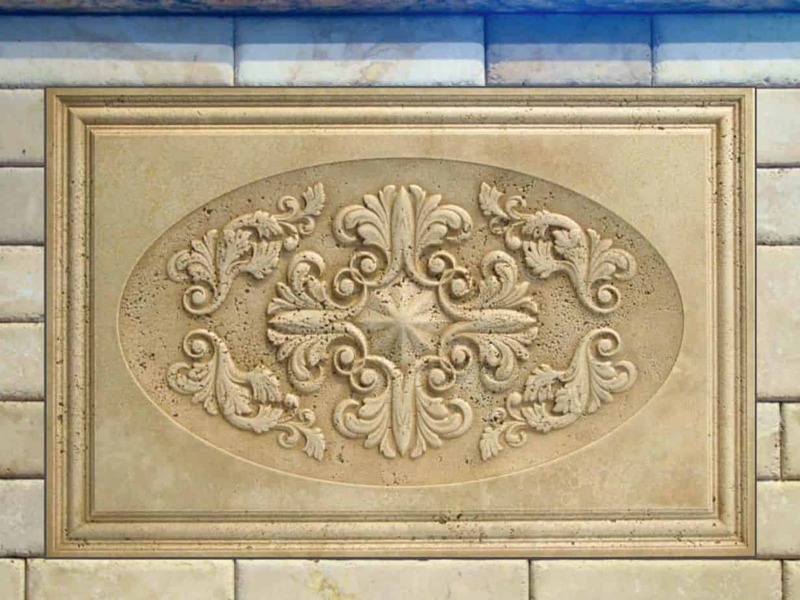 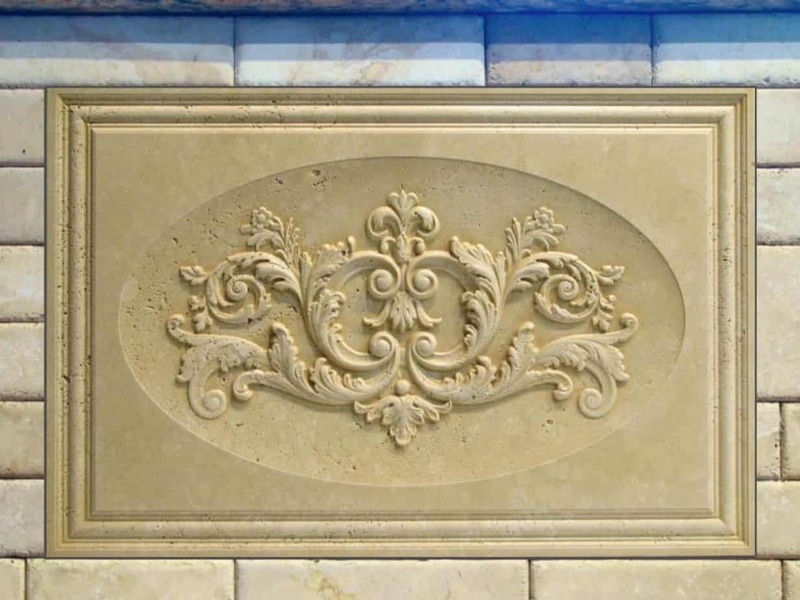 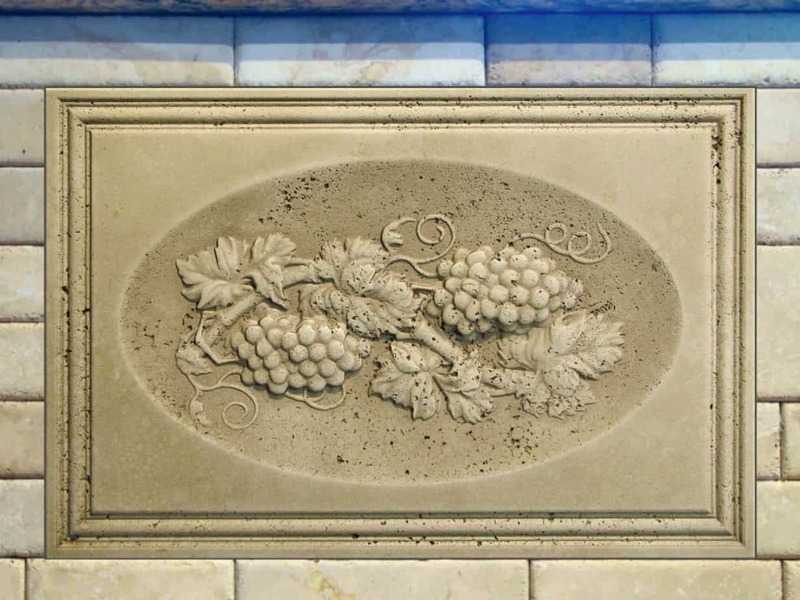 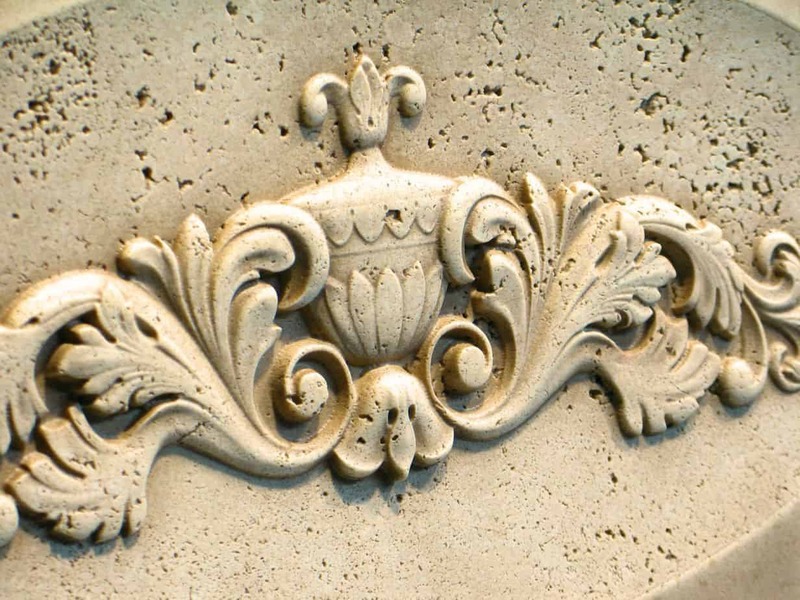 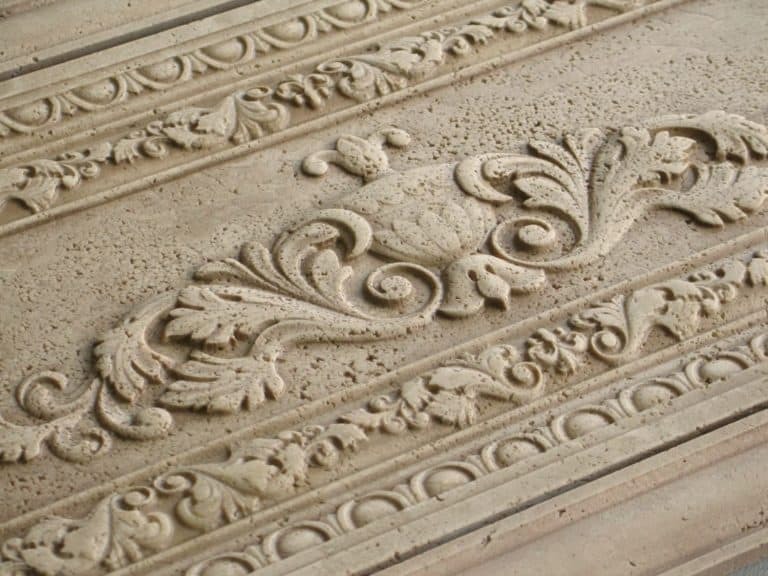 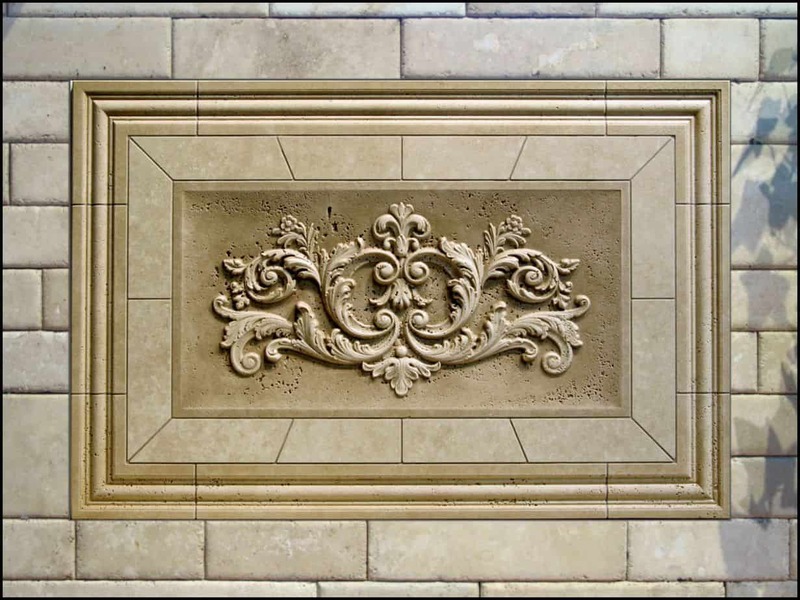 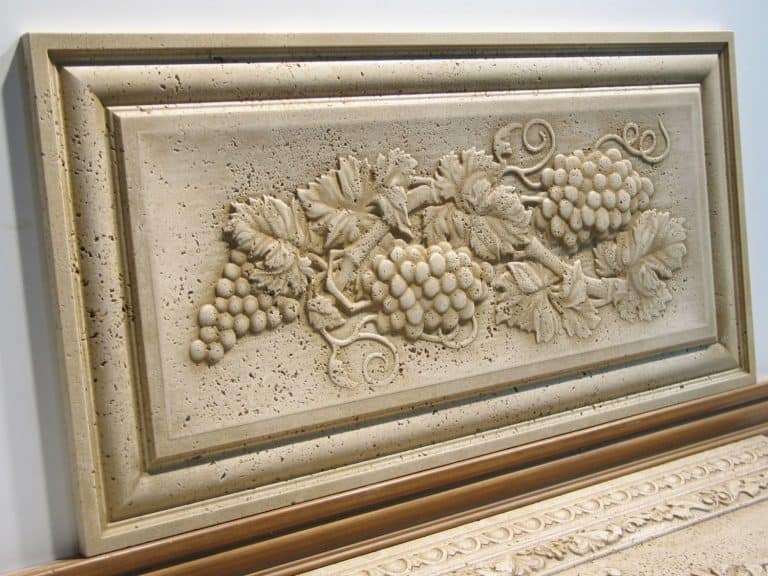 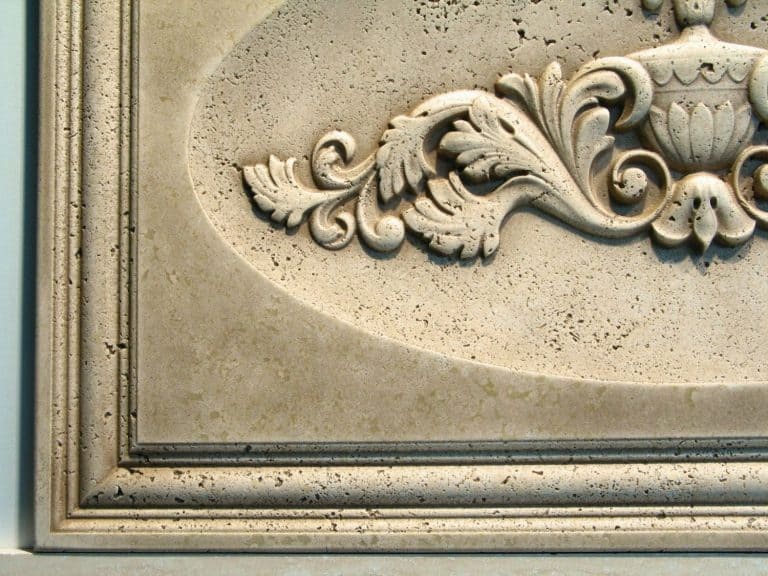 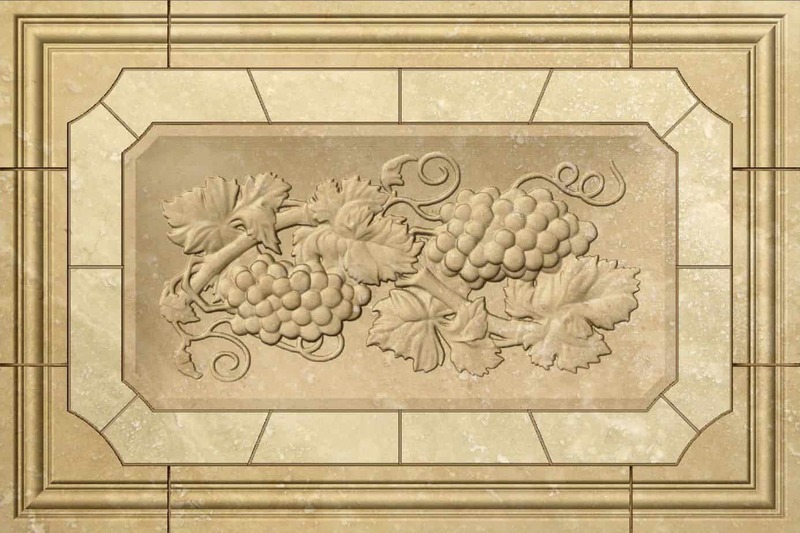 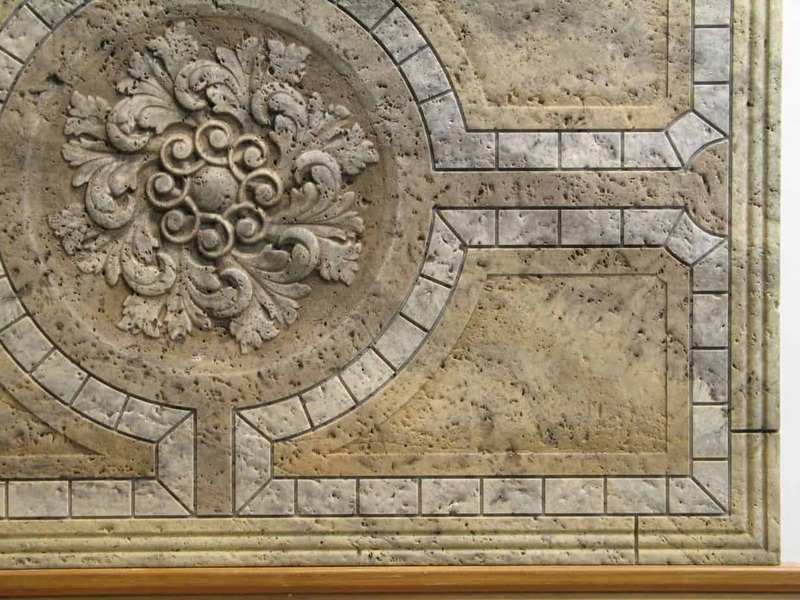 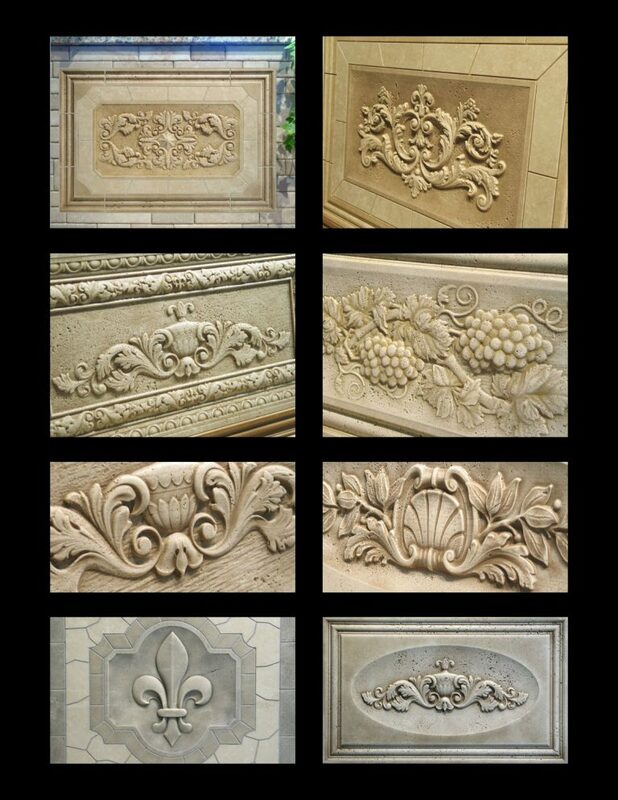 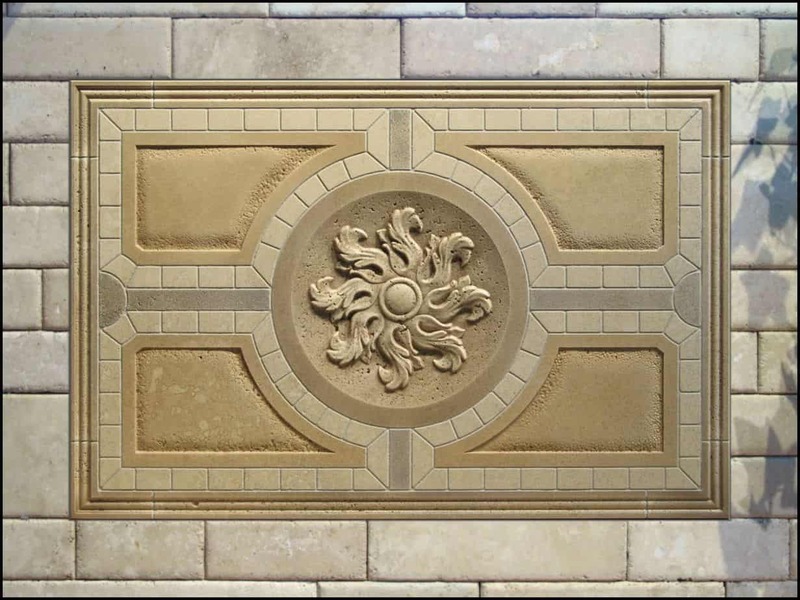 Relief Carved Stone Panels | Artisan Fabricating, Inc. 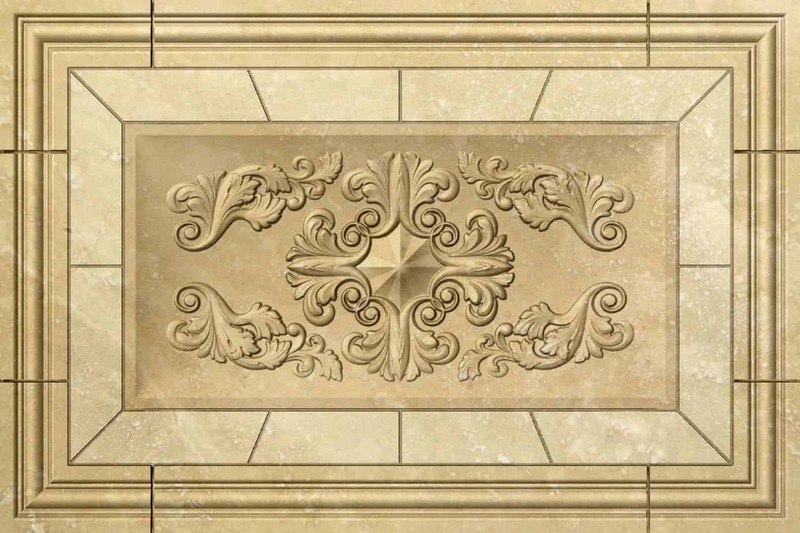 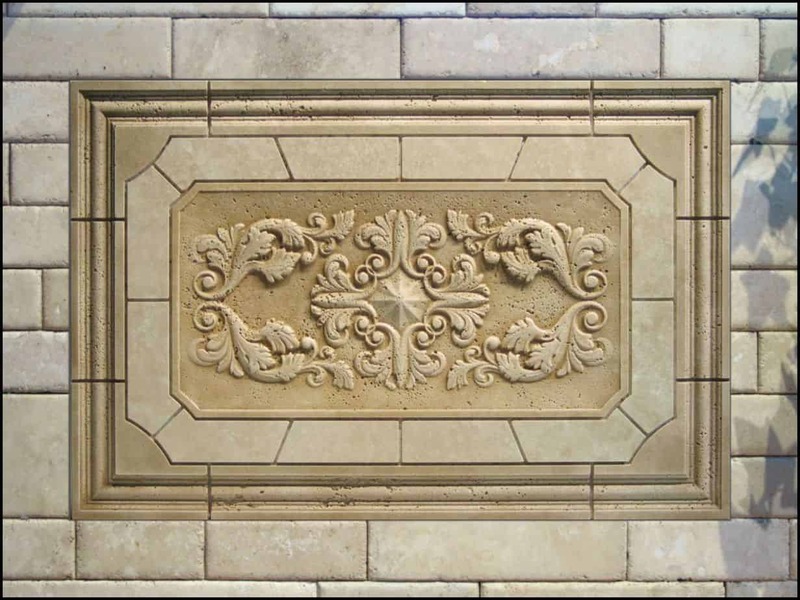 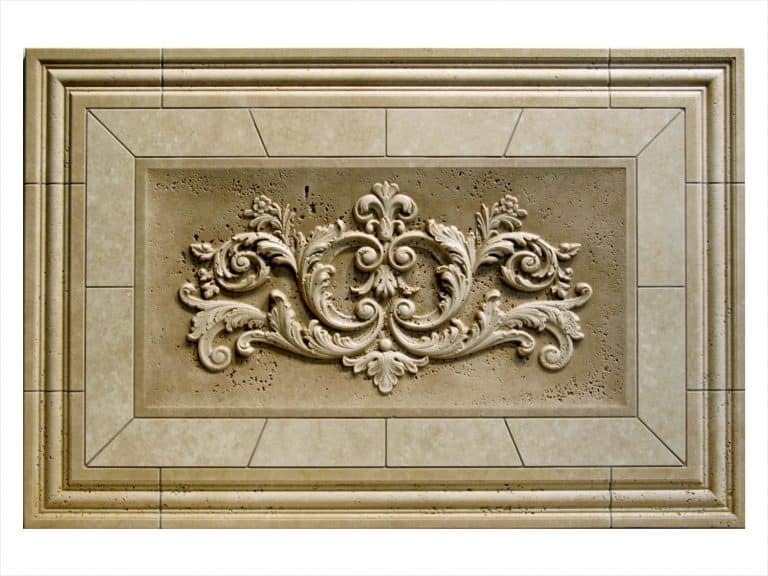 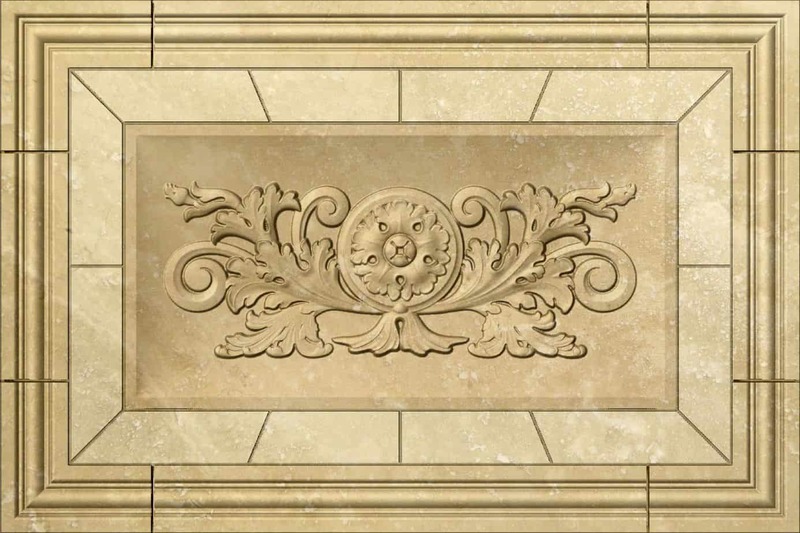 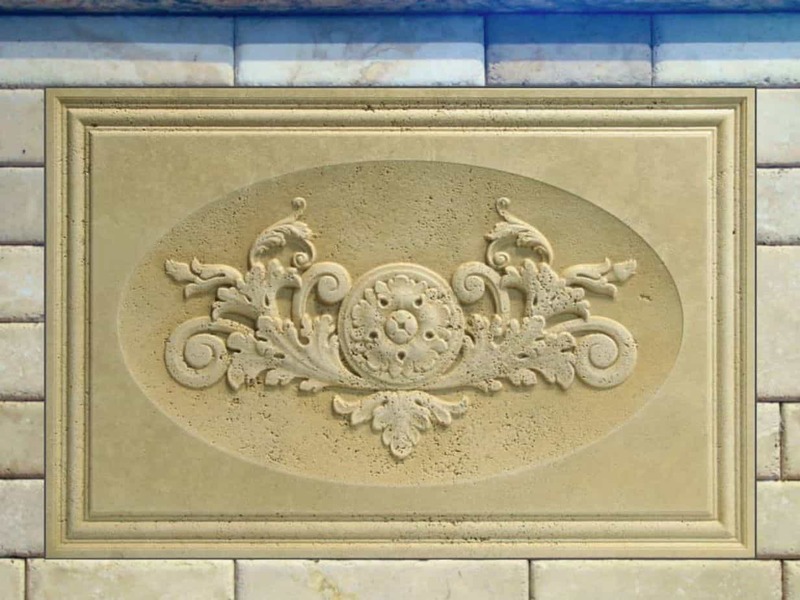 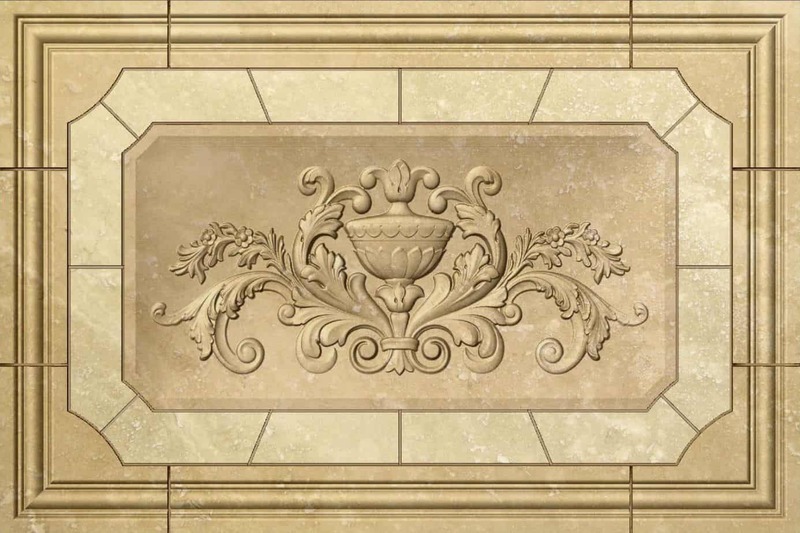 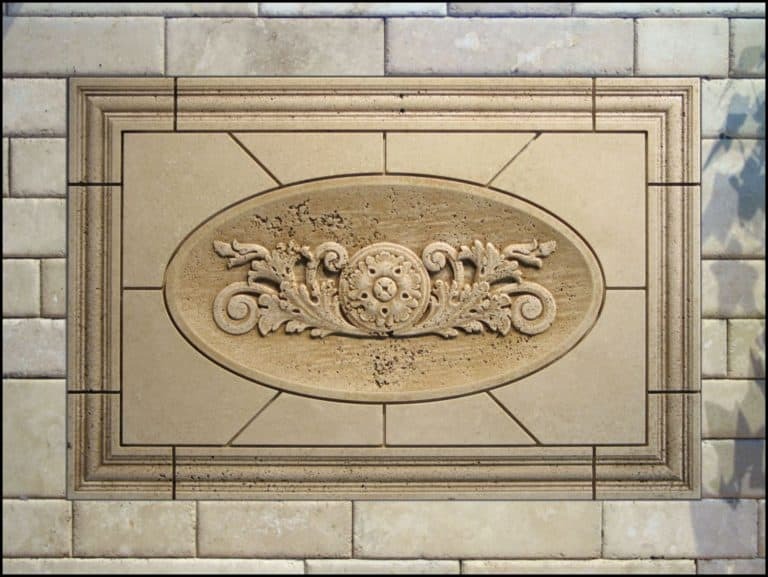 Elegant carved natural stone tile panels with timeless classical relief motifs. Genuine natural stone. 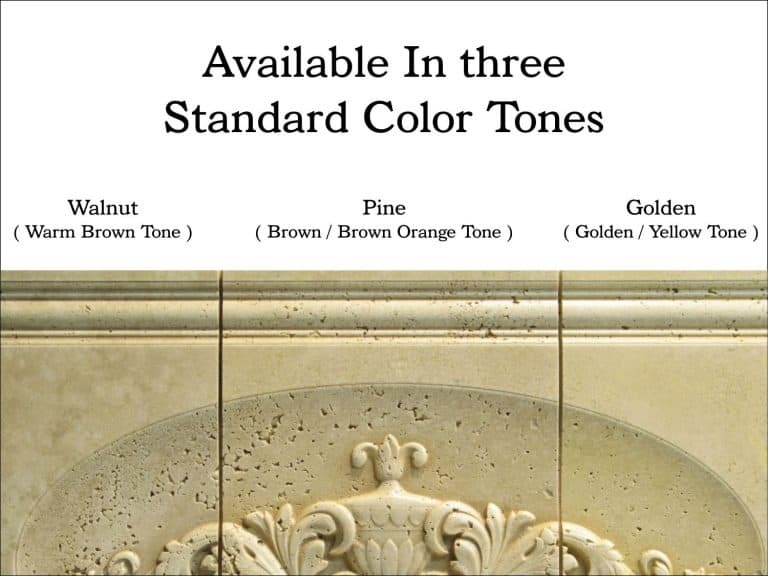 NOT fired ceramic or imitation resin castings. 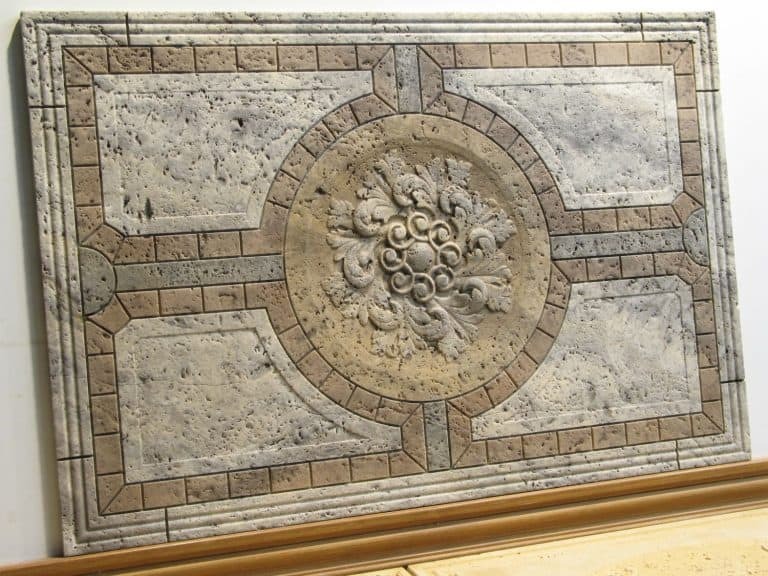 Each piece hand selected from the finest natural stone tiles from around the world. 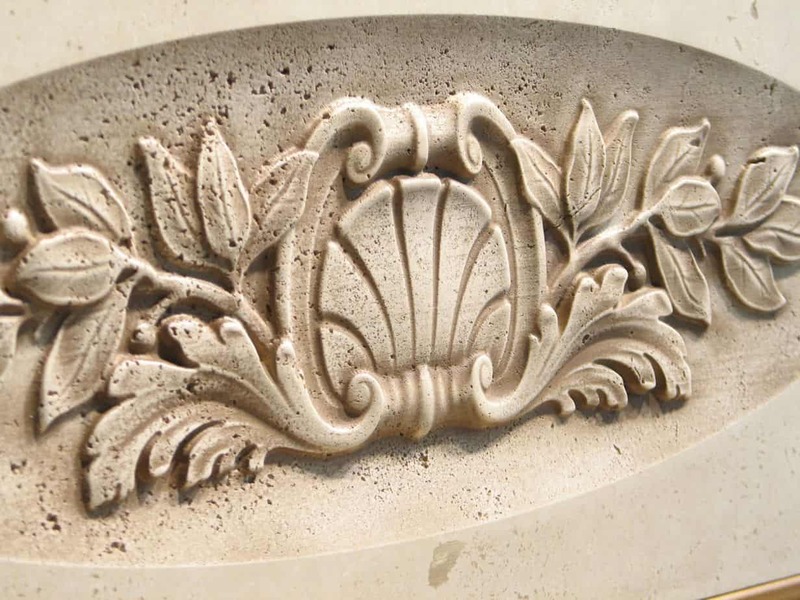 Being natural stone, no two will be identical. Each piece will have it’s own natural and unique characteristics. Exquisite monolithic mosaic travertine panels with classical relief carving. 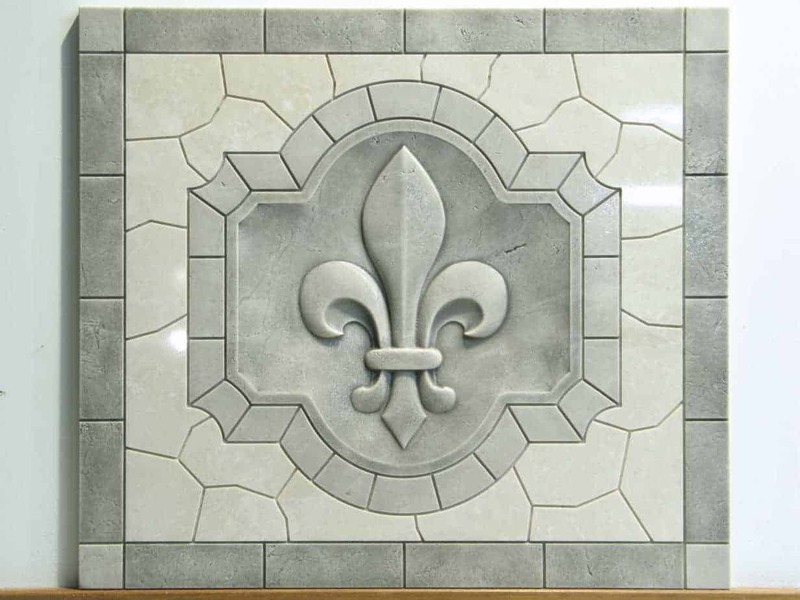 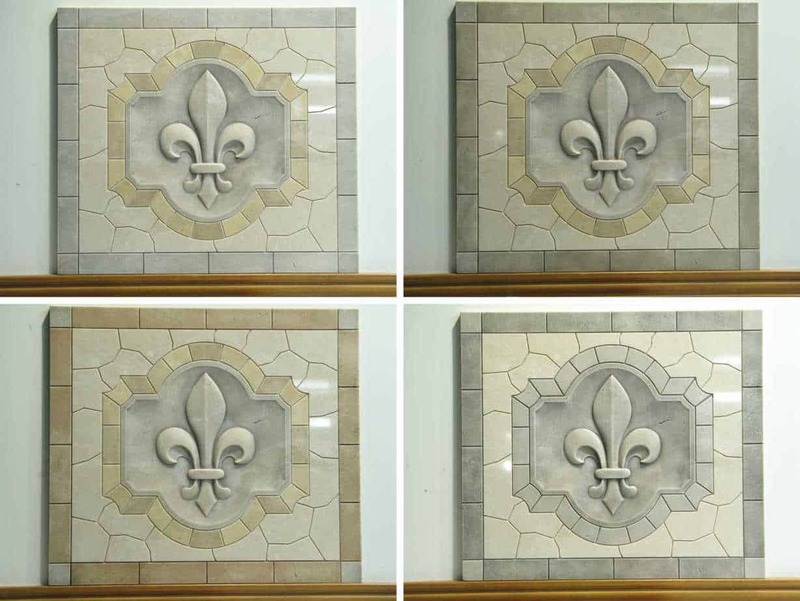 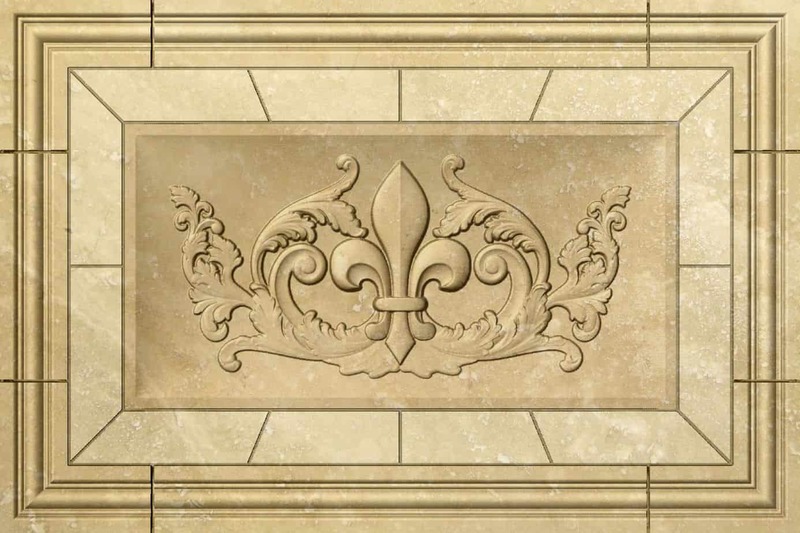 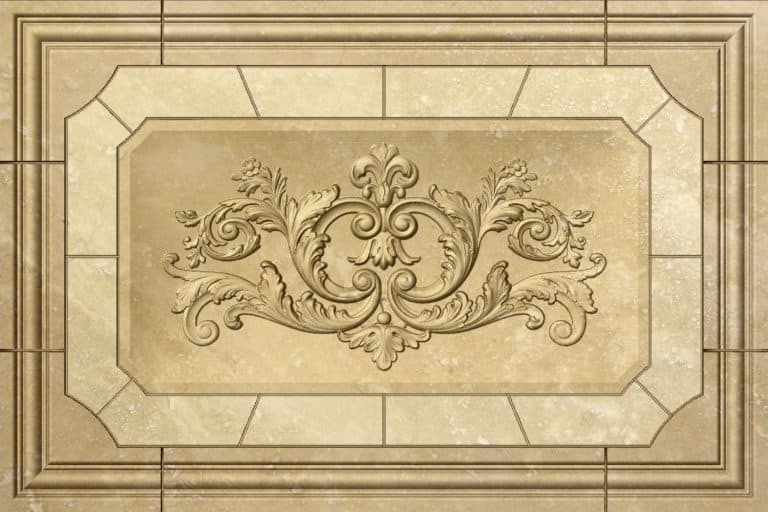 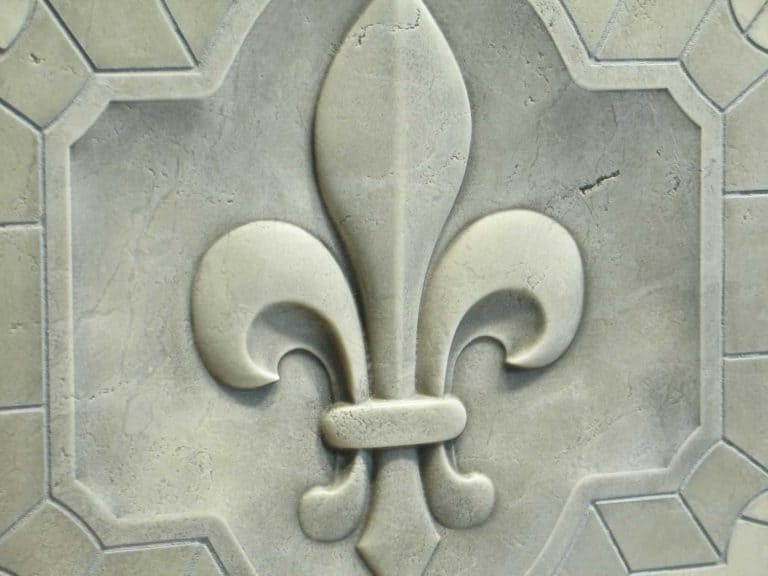 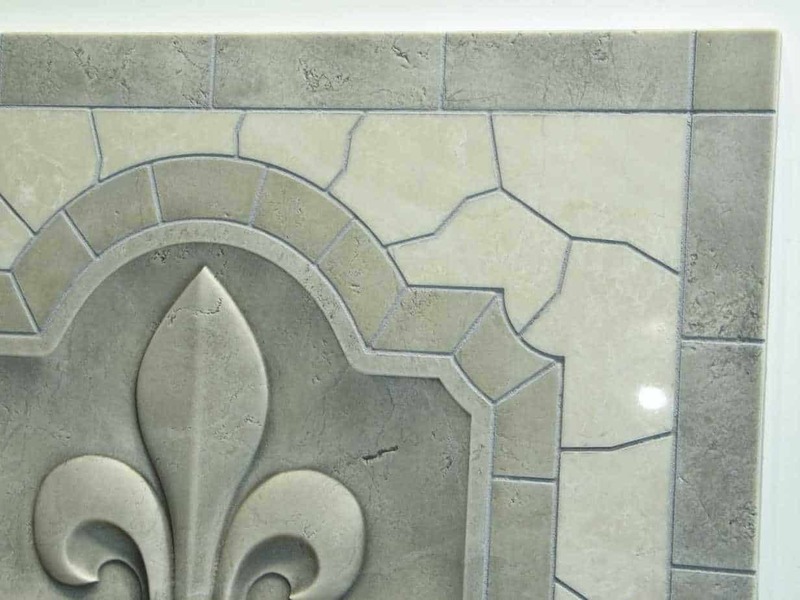 These sophisticated relief carved designer stone panels provides the absolute ease of installation for the DIY or experienced tile contractor alike. 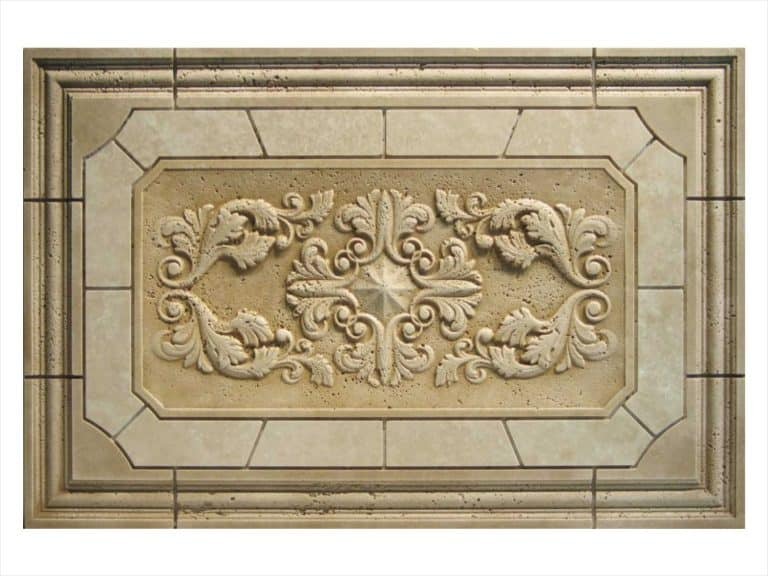 With exquisite craftsmanship, a 1/16″ grout joint is engineered into the surface of these one piece tiles for an effortless balanced harmony between the classical carving, mosaic field tiles and the stone molding border detail. Ready for fast simple one piece drop in installation.